Despite winning the Nobel Peace Prize five years ago, the EU is no longer “a great actor of peace”. It should not rush into creating its own army unless the US decides to pull back its troops, Dan Smith told EURACTIV.com in an interview on the sidelines of the World Economic Forum in Davos. Dan Smith is the director of the Stockholm International Peace Research Institute. He spoke to EURACTIV.com’s Editor-in-Chief Daniela Vincenti. We have gathered here in Davos for a good look at the economic situation. Yet we have a lot of challenges on the security side. Do you think they live in delusion? Well, I think there is no doubt that on peace and security, the global indicators are moving in the wrong direction. Military spending is up, the arms trade is up, and although there are far fewer nuclear weapons than there were at the end of the Cold War, nuclear arms control negotiations are basically inactive at the moment. The number of nuclear weapon states has just increased as North Korea has become a confirmed nuclear weapon state in the last year also. So, I think that seen on the security side the world does not look in a good state at the moment. There is obviously a big question on the Iran deal with Donald Trump wanting to withdraw. How do you see that shaping up? Will they manage to maintain this or not, the EU especially? There are two scenarios, aren’t there? One is that the US actually pulls out of the deal. The difficulty then will be that Iran does not get the access to the international trading and financing system that they want, and what was part of the incentives for going into the joint comprehensive plan of action in the first place. That would certainly make it much more difficult if the US would pull out. But at present, the EU institutionally and individual governments – including, what would many people surprise, the UK government – but also the French, the German and obviously the Russians are all standing very firm in favour of continuing with the agreement. So, the more optimistic scenario is that President Trump continues to say critical things about JCPA every three months, but the US doesn’t actually take any action over it. In either circumstance, I think that what is really important is that the detailed work is done that goes as far as possible to paving the way for Iran to complete its re-entry into the world trading system. And some of the work needs to be done by Iran itself on transparency and compliance within its own banking system. There is a line of argument that the recent demonstrations and protests, mobilisations in Iran were as much as anything about corruption in the banking industry, which tells you that here is something which the Iranian government needs to fix. And if it does fix it, it will not only have greater internal stability, but it will have greater international access as well. You talked about the EU forcefully trying to maintain this deal and working behind the scenes. Do you see in the last 3-4 years a different EU in terms of security? They are working towards a defence union, especially since Brexit, do you see a totally different player? I see the possibility of a very different player in the last year and a half. I think of the EU enthusiasm for integration: we’ve been talking about a defence union since the 1970s or maybe even earlier. And always the rhetoric and the aspirations far outstripped what they were actually willing to do in practice. 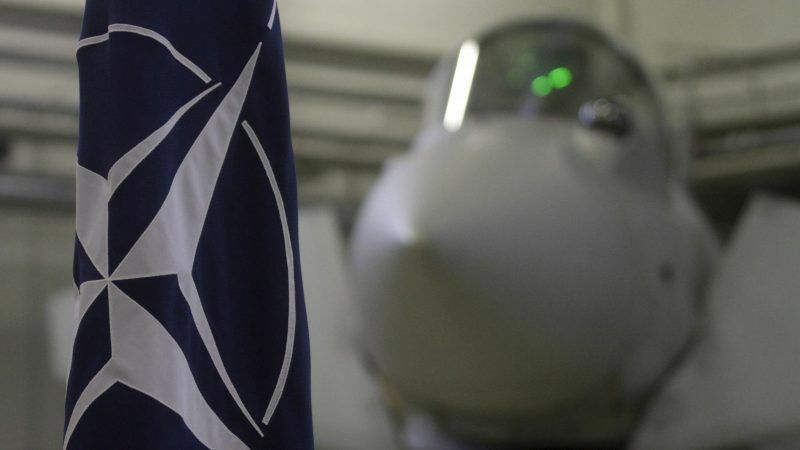 Regardless of Brexit, you have to take into account the fact that NATO is there, NATO is the security architecture for Western Europe and that involves the US. So when President Trump was elected, given his background of being highly critical of NATO and saying it was outmoded and anyway all NATO members owe America money for having stationed its forces in Europe for all of these years. There was a lot of consternation in NATO and NATO governments and I think even in the non-alligned governments in Europe about what was actually going to happen now. Is the equation going to be completely changed? I think it is not surprising then to hear things being said freely. I remember Angela Merkel last year talking about how Europe needs to get along without relying on some of its oldest and closest allies, and I think that is new. But what will play out in practice? I remain open-minded as to what is going to happen. I am not convinced that it will do, but we will see. At the moment, what are they thinking when they are talking about the defence union is pooling to get a lot of military capabilities but not really creating a real European army. Do you think Europe needs a European army? At the moment: No. If you were to look at this from a defence efficiency point of view, there are gains that Europe can make that are way short of a European army by further cooperation between different national units. At the moment, with the North Atlantic Treaty Organisation there, that’s for good or real, that’s the security architecture Europe has and if a European army were injected into that equation, I think it would cause difficulties of cohesion and coherence inside NATO and it might well cause escalation and confrontation in relation to Russia and if you also think what view Turkey might take on this, whether it would continue its NATO cooperation if a Europe which is visibly excluding Turkey were about to develop its union forces. So there are a lot of different factors to take into account there. Were the US to follow through on what some people saw as the implicit logic of Donald Trump’s statements as a candidate, and were it actually to pull back from Europe, then I think the situation would change quite dramatically and one would see probably a course for a different security architecture. Anybody can look into their crystal ball, but I don’t think it is very likely. I think so. One of the things advocates for a full and proper defence union need to take into account is that internal politics in Europe are moving in all different kinds of directions and while there is a cause that is very clear perhaps in Brussels or the EU-part of Brussels rather than the Nato-part of Brussels for this much greater and closer coherence in defence and security matters amongst EU member states and within the EU institutions, that may look different in different national capitals. Just as political integration and financial integration looks different in different national capitals. And I think that if Brexit gives one message, it ought to give a message to those that are the most enthusiastic about integration, which is that you cannot achieve this unless you take the whole constituency with you. And if you press it at the time when you don’t have the whole constituency with you, then you likely to lead to fragmentation. But there are a lot of developments in Europe at the moment with the rise of the far right and populism, you think these are criteria for actually pulling a stronger union together. So you take over and can create a risk of a divided Europe and a fragmented Europe that loses its role in the world. And we know that single countries cannot compete strategically with China, India and the United States. There is a case for Europe to actually be stronger together, no? Speaking personally, for a whole number of reasons other than defence, security, geostrategy and so on, I am completely in favour of a closer Europe. But that closer Europe must be a reality not simply in terms of what the policies and the alignments of governments are, and what can be agreed in horse-trading in late night sessions between the prime ministers or the foreign ministers. It must be a reality at the people’s level. People must see that there is a case for them, we must all understand that there are benefits, that life is better with this closer union than without it. That is what the Remain-camp could not manage to persuade a majority of the British people. They nearly did, they got very close. But they didn’t achieve that. And if one looks at the EU institutions with the very cold eye, one can understand that. And very often when I talk with people from Brussels and from the EU institutions, I am horrified by their complacency and their narrow world in which they live, in which they don’t really know or sometimes even appear to care for what people in the south of Sweden or the eastern half of Hungary or rural Poland think about these issues. And unless there is a real popular base for integration, it will not work, and pressing harder for integration would doubtless achieve some gains but it will also lead to some fragmentation. That said, I completely agree with you also that the rise of the far-right and populist forces is very, very worrying and we must work against that. But again, don’t think that can be done simply or primarily by coming to agreements that the EU should be integrated more. I think its the case for the democratic values that underpin the EU and the real consistent implementation of those democratic values, that what would work. All of this is personal, not as the director of SIPRI. But that’s fair, obviously for an expert like you it is also important to have your own opinion. Now it’s five years since the EU got the Nobel Peace Prize and a lot of things have happened since then to dismantle this peace in Europe, do you see a risk of Europe becoming a ground for conflicts? I think there is a paradox built into the Nobel Peace Prize for the EU. The EU, I think, has been since very early days of the early 1950s, before it was even a European Economic Community, its been a tremendous force for peace in Europe by existing, by being, not necessarily always by doing something for peace, but rather by doing something about democracy, about the economy, about peoples living conditions, about human rights values. And I think when the Cold War ended, the enlargement of the EU had the same effect. It was areas which were, parts of Europe that were stable enough and had leaders with vision enough to want to adhere and be able to adhere to the EU although it took 13 or 14 years to achieve and finally get everything signed, ratified and implemented. That whole process helped consolidate peace in those areas and there was every chance that there would be more violence in Central and Eastern Europe than there was in the 1990s. We were talking about it in peace and conflict research community 25 years ago, it was only in the end from Yugoslavia that really exploded and even there the EU was able to attract Slovenia, Croatia to the gains of EU-type peace. Where the EU has a more questionable or uncertain record is when its leaders are actually trying to do something about peace and when they try to use the soft power that the EU has. So, if you look at EU leaders, they definitely got some decisons wrong in the lead-up to the violence in former Yugoslavia. I don’t think the EU is to be blamed as much as some of its critics say for what has happened in Crimea in Ukraine, but nonetheless, it plays a part and its eastern neighbourhood policy has not really managed to win the peace in the South Caucasus. So the paradox is that EU soft power is at its most effective when no politician tries to use it. As soon as a politician tries to use it, they using financial or economic incentives and in parts of Europe that sounds like you are talking about bribery or you think you can win me with just a few trade concessions, I am a bigger player than that. And it actually outrages and irritates people as much as it incentivises them. So yes there is this paradox at the heart, which is that soft power is most effective when it is least used. The EU has been a great peace project and since its founders and those who originally drove the idea forward were no longer alive when the Peace Prize Committee thought of giving the prize, they gave it to the institution at the time. It was fairly appropriate but doesn’t mean the EU is a great actor for peace anymore. Let’s turn the question a bit differently. Now there is an increasingly worried EU on the Western Balkans. Do you see them doing the right thing, are they using their soft power correctly? In my theory, they shouldn’t use their soft power and that’s the way to make it effective. So they shouldn’t be involved at all? If you going to intervene in a situation as complex as the Western Balkans, you better really know what you are doing and what you are up to. And I think that we are back in a situation where actually the expertise on the Western Balkans in government establishments has drifted away a bit, because the situation has been peaceful so you put your experts onto other problems. I mean, the end of the 1980s and the beginning of the 1990s, there were very few people in the major foreign ministries who really understood what was happening in Yugoslavia. six or seven years later there was an army of them, but now those numbers again have depleted. So, no, I am very concerned in fact, that although I understand why it is impossible to be inactive, I am really concerned that they don’t have the knowledge and the insight or the credibility to be able to make this work. In the 1990s, the EU was on the upswing, it was enlarging, it was self-confident, the economies were growing, democracy was expanding, the Cold War was over, antagonists have disappeared, today that is not true. And so the credibility of EU actions, promises and incentives in the case of Serbia for example, Serbs look southwards and they see that the EU was not really helpful towards Greeks, when Greece was hit by financial crisis and the problem is that that kind of tough attitude which the EU took together with the IMF towards Greece and its debt, making it continue to service that debt and keeping it going rather than just saying, we need a fresh economic start in Greece. That kind of thing it comes back to haunt it. And the toughness and attitude, the lack of concern and the way which when Papandreou was prime minister he was kind of bullied by the EU, all of these things are affecting the credibility of the EU now in that part of the world. And EU leaders and senior official may very well say in response to this: but they are two separate issues. Yes they are but if Serbian politicians and the public think they are the same issue, then they are the same issue. If you had an expert to give one piece of advise to Federica Mogherini, what would that be? Do your damnedest to persuade France and Britain while it is still a member as well as Germany that it is essential to engage in a dialogue with North Korea. EU’s soft power….they mean its censorship laws?